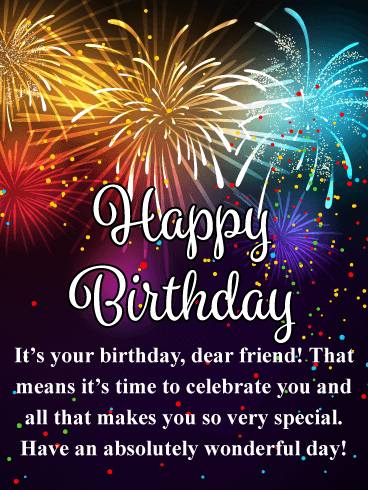 Birthdays can be the biggest celebration of the year for some people, that's why only the best birthday card will do! 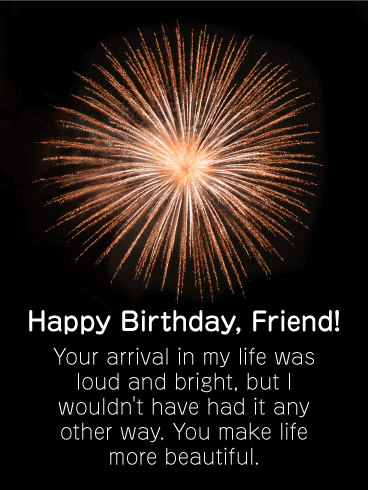 Your friend will love this impressive greeting card! 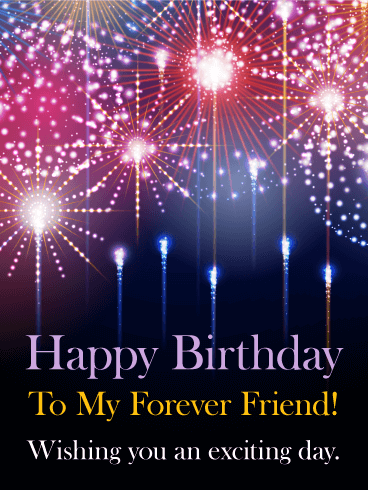 It features magnificent fireworks that fill the night sky in honor of their birthday! 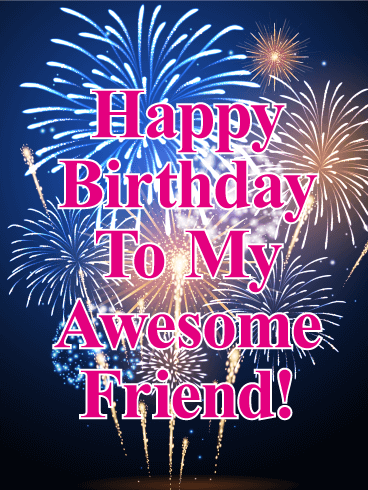 The bright pink message refers to your friend as awesome, this will certainly make their day! 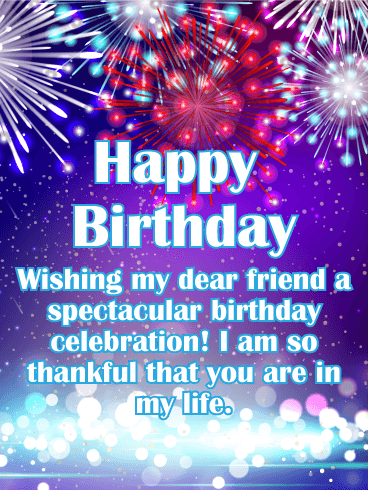 So if you want to impress your friend and brighten their day, send this birthday card right away! 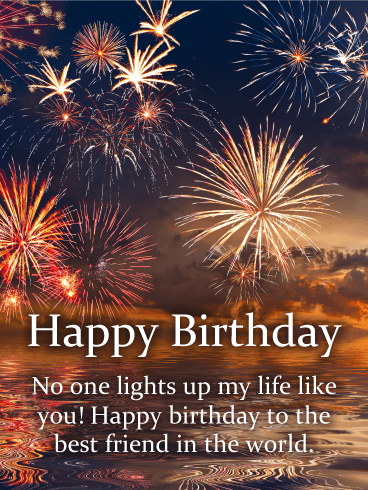 Birthdays are always exciting, so it would be fitting to send a birthday card filled with fireworks bursting in the sky! The beautiful fireworks against the dark sky make the colors stand out even more. 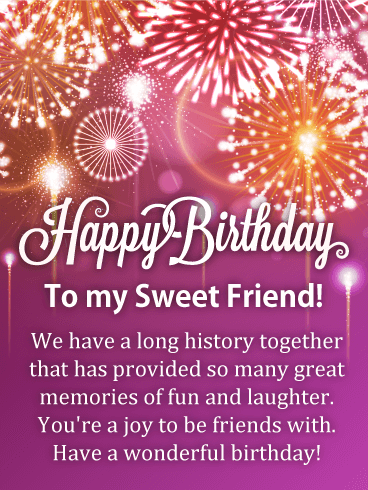 It features a very special message that lets your friend know that you consider them a forever friend. 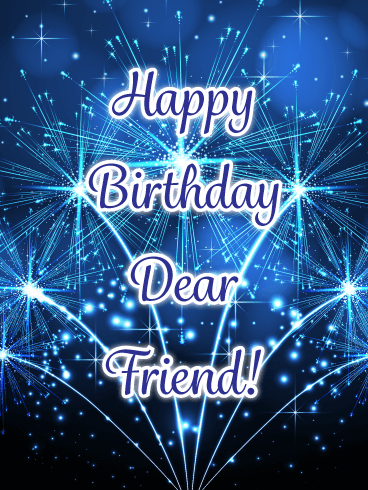 Send this exceptional card out today to wish your friend an exciting birthday! 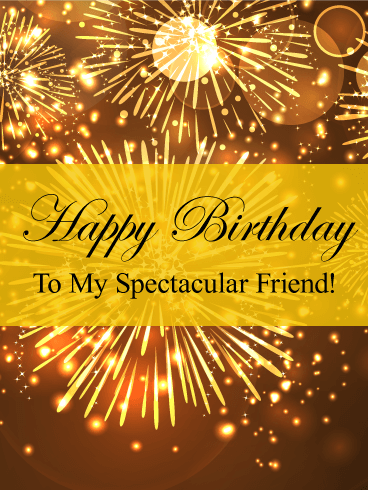 If you feel your friend is spectacular, this Happy Birthday card will definitely get the point across! 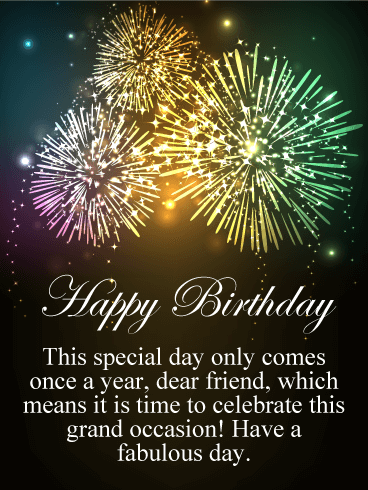 It's bursting with excitement and will make sure your friend knows that his or her birthday is something worth celebrating to the fullest! 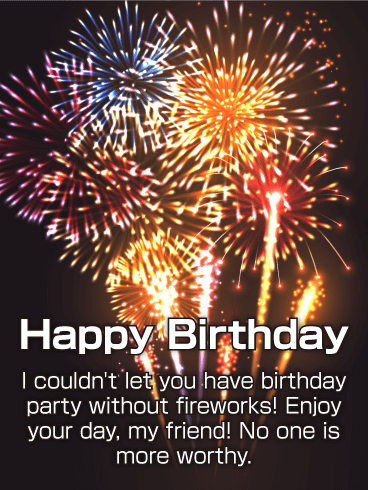 This fantastic birthday card features beautiful golden fireworks that will certainly grab the attention of anyone. It's absolutely stunning! 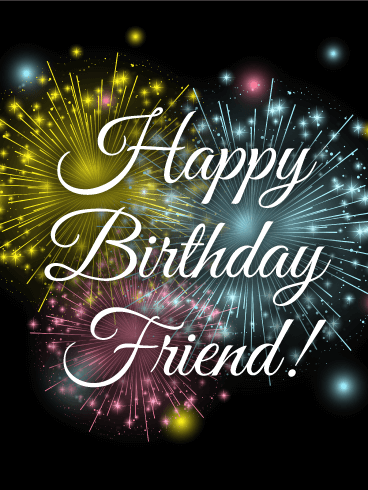 It's always a good idea to spoil your friends on their birthdays! 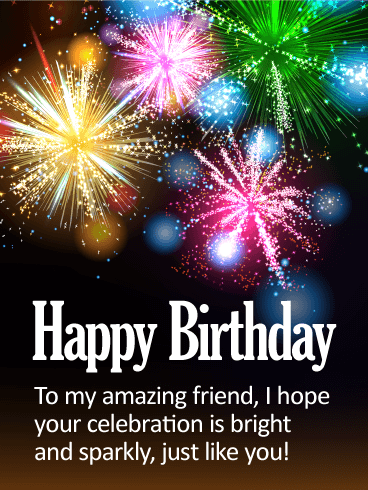 Here's a fabulous birthday card that really pops! 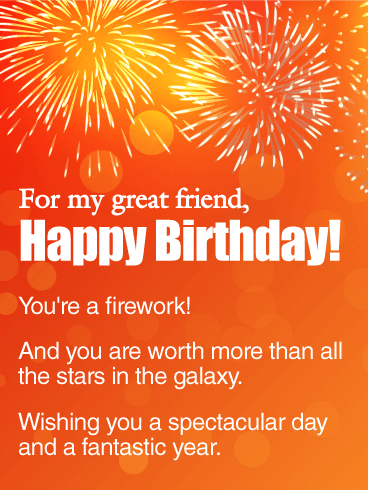 Fireworks bursting in a blaze orange sky and a birthday message that is sure light up their day. 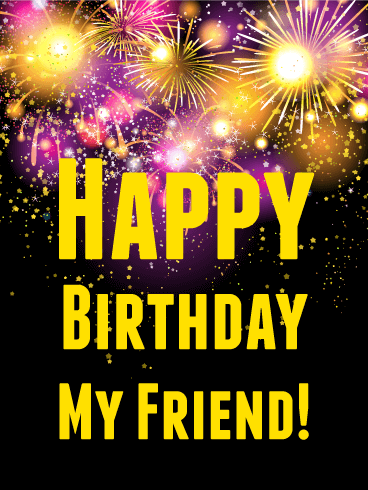 Send this great birthday card today and let your friend know how much they mean to you. 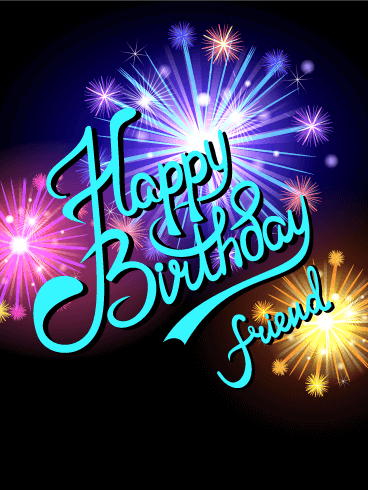 Wish your friend a spectacular birthday and fantastic year. 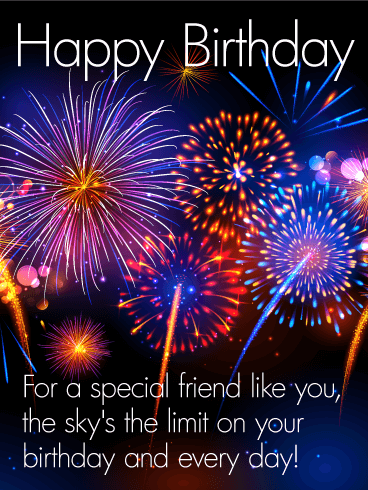 They will never forget your thoughtfulness when you send them this spirited birthday message.